Driving from Miami Florida to Key West takes approximately 4 hours. When we drive down to Key West, we like to enjoy the views on the Overseas Highway. 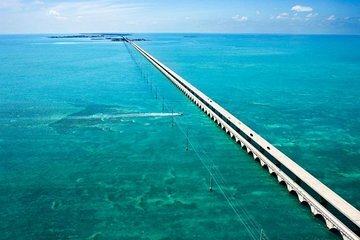 This 113 mile trip takes you on roadways and bridges that were built over the beautiful water that connect many of the keys. On our recent trip, traffic was fairly light and we literally breezed through Miami to Homestead. From there, we made our way down through the Keys, enjoying the views. 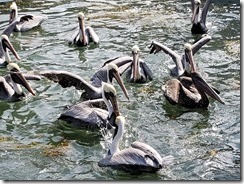 Islamorada actually consists 6 of the Florida Keys. We checked out a few art galleries before stopping at one of our favorite lunch spots: the Islamorada Fish Company. We shared a grouper sandwich that had so much fish and was so juicy as to be quite messy–and deliciously so. While the accompanying tater tots were mildly disappointing, we weren’t disappointed with the entertainment. 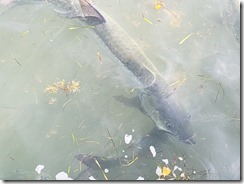 A walk-around lagoon that is part-time home to several large (roughly 5-7 foot long) tarpons and several of their smaller cousins. 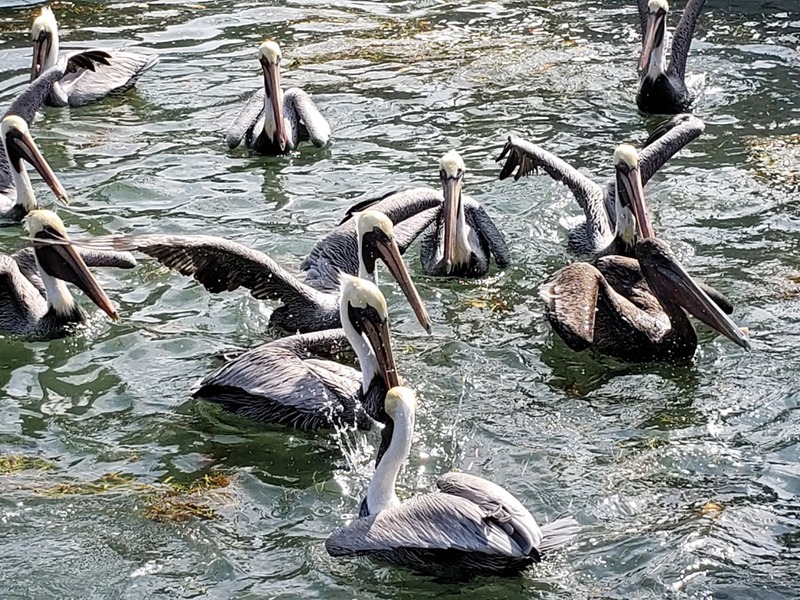 And when feeing time arrived, the tarpons were joined by dozens of huge, seemingly famished pelicans’ and sea gulls in a feeding frenzy. 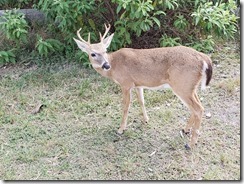 Big Pine Key is the home to a refuge for the adorable, albeit endangered Key Deer. This sub -species of Virginia white-tail deer grow to only about three-feet in height. 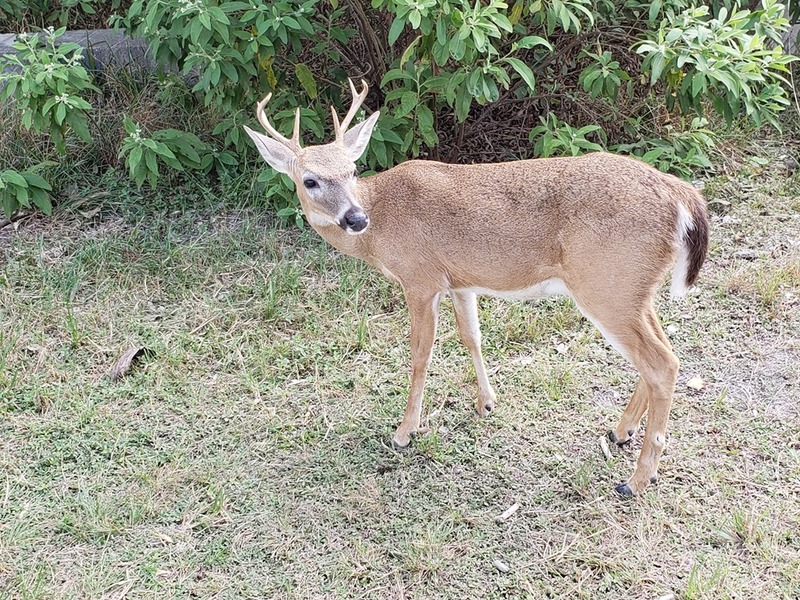 Since the deer have no natural predators in the Keys, the deer’s numbers are returning from the years in which development and weather had devastated them. This lack of predators also means they have no fear of people. They frequently wander along roadsides foraging for vegetation. 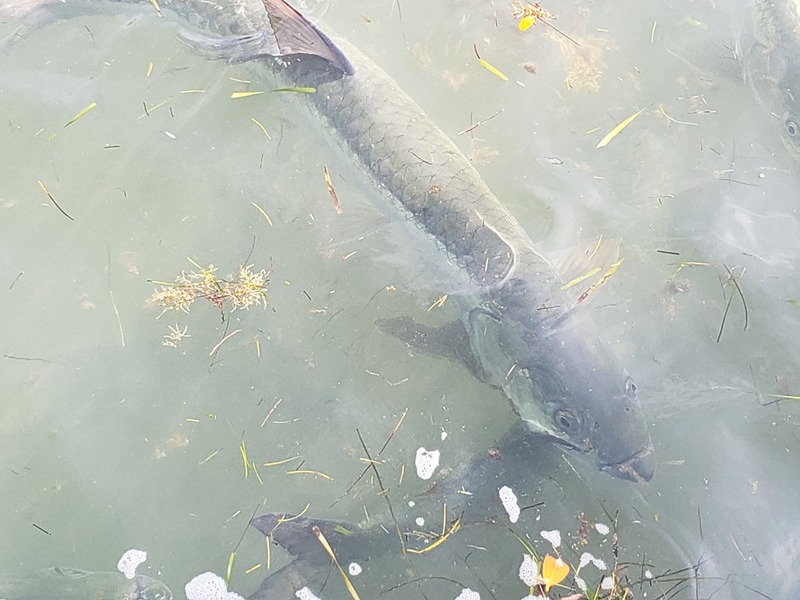 They come within inches of people, without (from our experience) any expectation of being fed. Our Big Pine Key visit also included a very nice cooperative art gallery which was next to the National Key Deer Refuge Visitor Center.